Titanes de Barraquilla comes from one of the most important cities in the colombias north coast, and brings the city back to the professional basketball. Barranquilla fans sitll remember the glorious Caimanes, two times champions. For this season Tomas Diaz , Titanes head coach , understood that the foreigner trio should be the core of his team, Diaz likes to play an uptempo style, a kind of a run and gun, specially this year playing without a classic center. 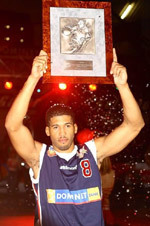 Diaz started to bring back a well known veteran: "Mike" Michael Sneed (196-G-82, college: Texas Southern) who was champion under his coaching with Aguilas de Tunja, Sneed is an utility player that can fill both forward spots and yet to play the offguard, Sneed will help him to spread the court with his shooting range. Xavier Roberson (186-G-90, college: Our Lady Lake, agency: Haylett Sports), a 4 years veteran combo guard, will drive the ball for the Titanes, Roberson has been playing the last two seasons at the Mexicos LNBP with Santos de Potosi averaging 15 PPG while shooting 44% beyond the arc. 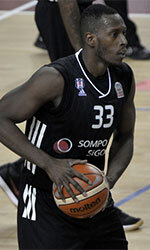 Troy Jones (201-F-92, college: Tex.A&M-Kingsv.) a 6'7" forward who has been playing in the middle east, Saudi Arabia and Bahrain, and who was teammate at Texas A&M-Kingsville of Tomas Diaz son, is the third import, a classic wing who can fit will with Sneed running the court.